The Obama administration said Sunday that it would deny a permit needed to complete the last leg of an oil pipeline across the Midwest, prompting cheers and whoops from opponents who have camped in the cold here … (and) the U.S. Army Corps of Engineers said it would deny the company the easement it needs. The agency also called for a full environmental review and re-evaluating whether the route of the pipeline should be altered. The Young Turks reports on the administration’s decision. This is the most amazing news!!! I’m up here in Standing Rock. Our front line is celebrating. Tears of joy are streaming down faces. 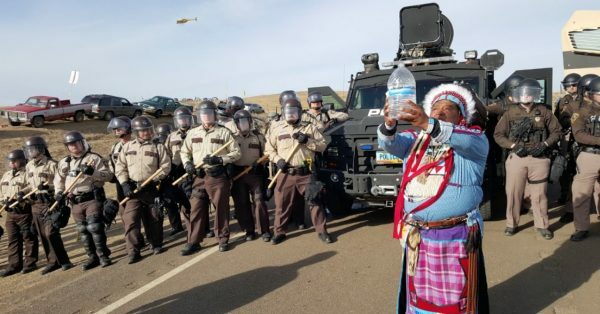 It was just announced the easement for the Dakota Pipeline was denied, which basically means the Pipeline CAN’T go through their Native land!!!! 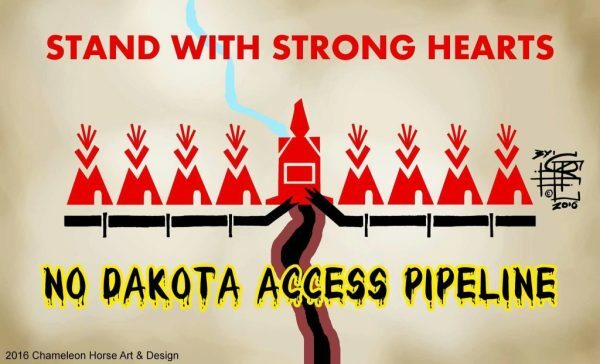 The Pipeline construction has STOPPED. There’s over 4,500 veterans here currently in support of the Water Protectors and more have been arriving non-stop all night and day. I couldn’t be prouder to be standing here with my brothers and sisters. 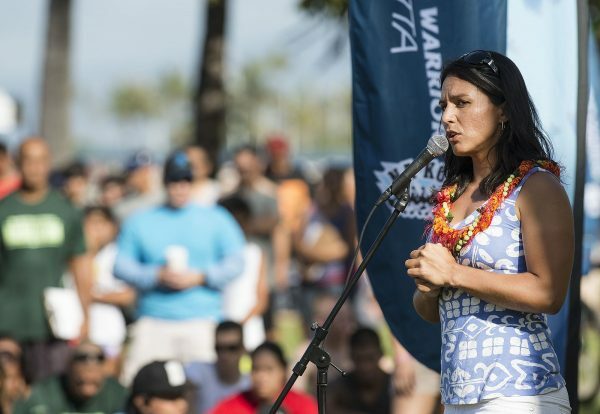 ..took to the House floor Thursday in an impassioned plea to stop the Dakota Access Pipeline… (She) is one of the .. veterans planning to join the ongoing pipeline protests … (and) blasted the Army Corps of Engineers for granting permits for the pipeline’s construction without input from the communities most likely to suffer in the event of a spill or explosion. If indeed the #NODAPL permit has been denied, we thank the administration for yet another better late than never action. The next order of business would seem to be identifying all those in law enforcement that abused their authority and bring their asses to justice. The amount of savagery they unleashed on these peaceful demonstrators makes me ashamed and angry. The least we can do is make sure some measure of dignity is served to those that suffered at their sadistic hands. And the WSJ cautions that President-elect Trump supports the pipeline’s construction. 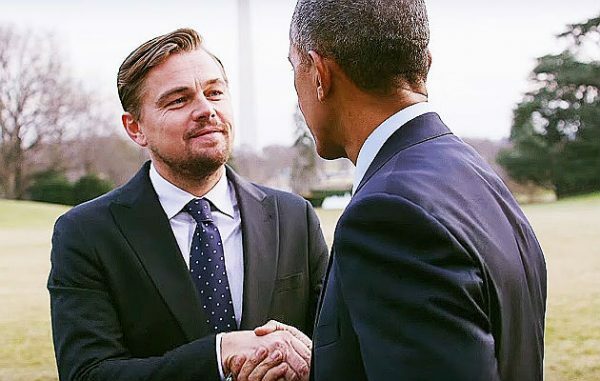 Academy Award winner Leonardo DiCaprio is a UN Messenger of Peace and now a producer of the documentary Before The Flood. In this film, DiCaprio takes us on a journey to see how climate change is evolving due to human actions, and he reveals how we are empowered to act to prevent it from permanently and chaotically disrupting life on our planet for nature and people. Before the Flood debuted on the NatGeo channel on 30 October 2016 and is available free for viewing on the National Geographic Channel and YouTube. 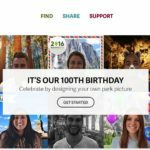 National Parks will celebrate 100 years of operation by opening their gates to visitors 25-28 August 2016 without an admission charge. National Parks aren’t just pretty places to commune with nature. 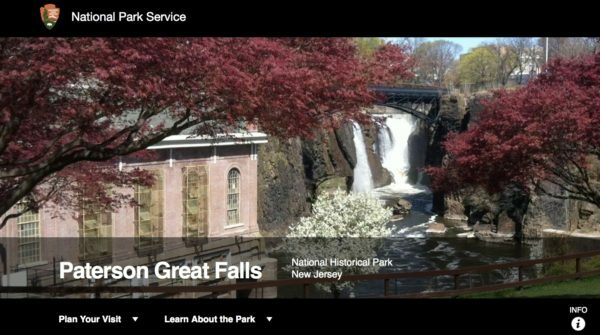 They’re also sites of national historic interest or local significance, like Paterson’s Great Falls Historical Park and the Brown v. Board of Education National Historic Site in Kansas which offers tours and a study guide to honor this legendary amalgam of lawsuits which began in South Carolina but resulted in United States schools becoming segregated throughout the country. 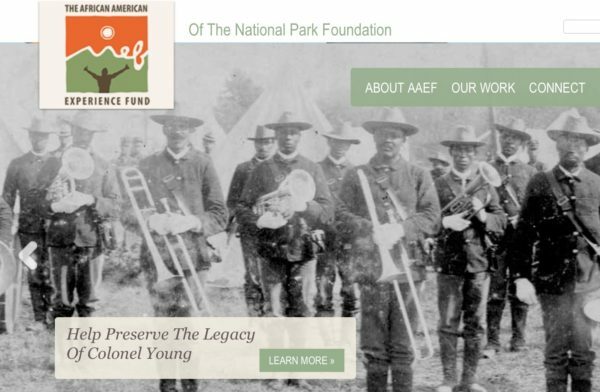 The mission of the African American Experience Fund of the National Park Foundation is to preserve African American history by supporting education programs in National Parks that celebrate African American history and culture. There are 26 National Parks identified by the African American Experience Fund. 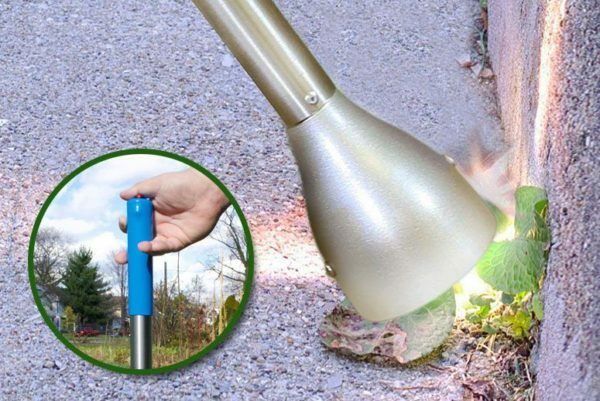 Imagine a weedkiller as effective as Monsanto’s Roundup (aka glyphosate) which doesn’t introduce any chemicals into the environment and can be completely localized: enter NatureZap version 2, which kills weeds by zapping them with a heat-light combo. EPA Quiz: Do you know how much climate change affects our health? 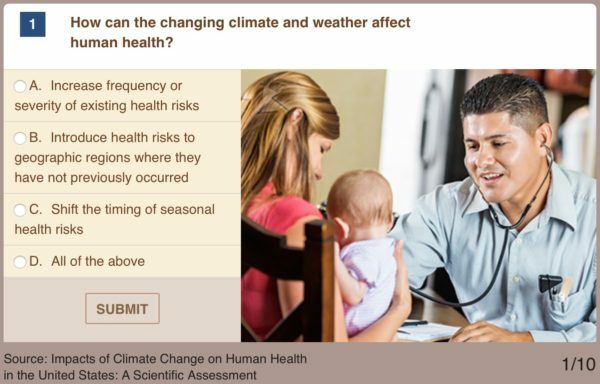 Take the EPA’s quiz to find out how much you know about the health impacts of climate change. It is clear that the status quo wasn’t doing enough to protect elephants from American trade: The US market has consistently ranked among the world’s largest – an (up until now) largely unregulated, multi-million-dollar black box where ivory could be bought and sold with almost no oversight, whether it was old or freshly poached. We believe that the new rules are a crucial step towards bringing the poaching crisis under control, though much still depends on the unglamorous next steps: implementation, enforcement, and diplomatic follow-through to ensure that this momentum doesn’t stop at America’s borders. While the changes are a big improvement, they’re not perfect. The regulations still permit sales of documented antiques and certain older items with a small amount of ivory. But the documentation requirement is only loosely defined, putting pressure on FWS (and groups like IFAW) to ensure that ivory buyers and sellers uphold the spirit and the letter of the law. We also have to make sure that law enforcement agents get the tools and funding they need to keep illegal imports from slipping into the black market. Additionally, the rule limits trophy hunters to importing “only” two dead elephants (per hunter) annually. IFAW lobbied hard to close this loophole even further and we will continue to press the issue, especially as new studies call the conventional wisdom on trophy hunting further into question. However, even this represents an improvement, as there had been no numeric limit on trophy imports at all prior to the change. The third element I mentioned above – diplomatic follow-through – is just as important as what we do here at home. Other major ivory-consuming countries like China and Vietnam have begun to steer their ivory laws in the right direction; US/China negotiations have already resulted in a pledge from President Xi Jinping to shut down the Chinese ivory market, although tangible progress has been slow in coming and it remains vital that the US continue to set an example. In accordance with the rule-making process under the Endangered Species Act, the Fish and Wildlife Service opened the proposed changes for public comment, and it became the second-most-commented-on rule in the agency’s history. People wrote letters, children drew pictures and thousands of petition signatures rolled in — mostly in support of the more restrictive law. 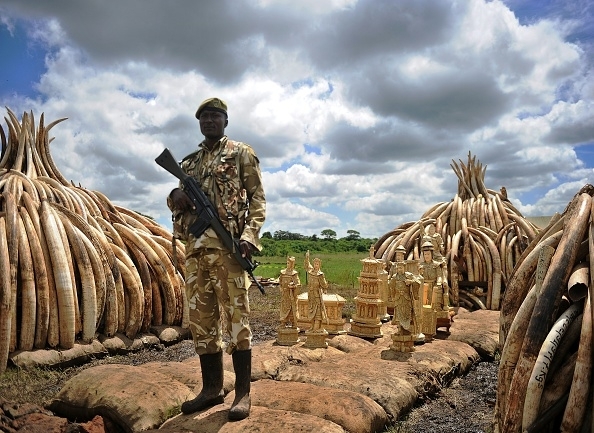 The next phase of the fight against ivory poaching will happen next week, when a delegation from the United States goes to Beijing for a round of strategic and economic talks with Chinese officials, who have also agreed to further restrictions on the ivory trade. Elephants are being slaughtered for their ivory at the rate of 96 per day. 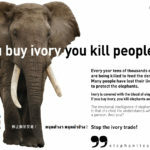 Do you know that the ivory trade is a people killer too? Lead graphic from the Lawyer Herald. 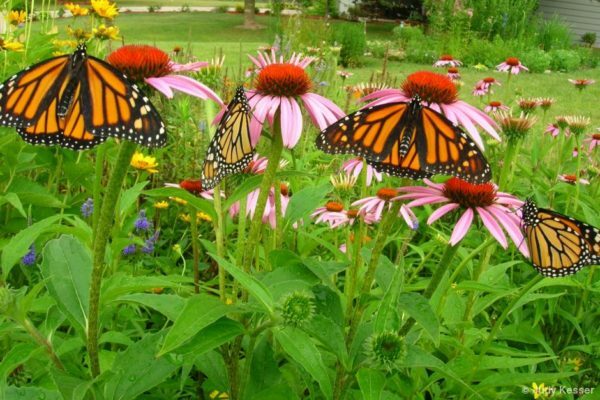 The Environmental Defense Fund has created a map of people and places all around the United States with a story of friendship to tell about Monarch Butterflies. 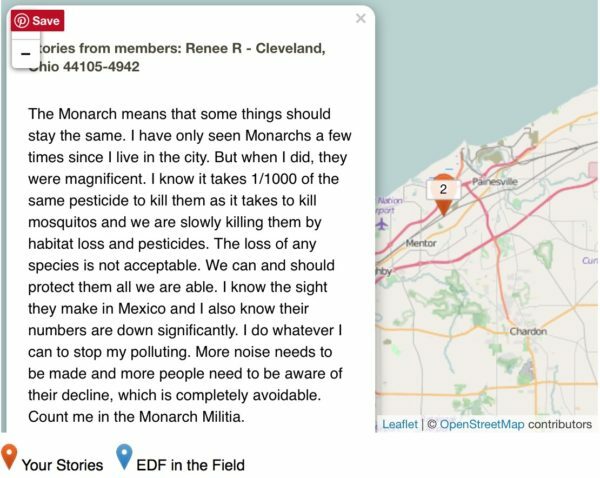 Take a look at what others are doing to honor, help and protect Monarchs, and feel free to submit a story of your own. Since I became aware a few years ago that trees audibly mourn when a neighboring tree is cut down, I have wondered what is the sound that a tree makes. In the tree-cutting study I read, the tree’s sound was tracked only by vibration levels, but not sound. Now I’m one step closer to knowing. 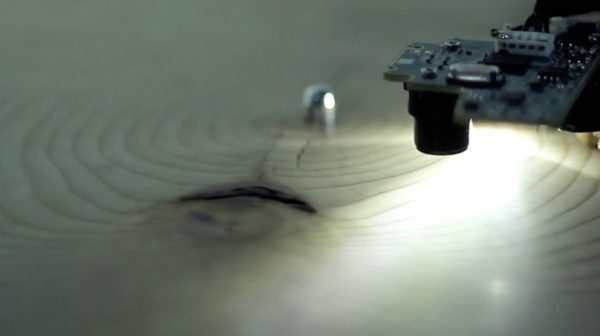 A tree’s year rings are analysed for their strength, thickness and rate of growth. This data serves as basis for a generative process that outputs piano music based on the year ring data. Those are analyzed for their thickness and growth rate and are then mapped to a scale which is again defined by the overall appeareance of the wood (ranging from dark to light and from strong texture to light texture). The foundation for the music is certainly found in the defined ruleset of programming and hardware setup, but the data acquired from every tree interprets this ruleset very differently. …There is still much more for us to do, especially in our own backyards. This spring dig under some of that useless lawn, remove some non-natives and put aside some room in your flower beds for some milkweed and native wildflower nectar sources. Many local garden centers now carry multiple species of milkweed which will work in the backyard. Some better garden centers are now even setting aside spaces for native wildflowers like Milkweeds Goldenrod, Joe-pye weed and NY Ironweed to name a few. Unlike many environmental issues which at times can seem overwhelming, this is an issue we can do something about. We don’t need to write to our Congressman or the Governor and hope that something gets done. Just plant some milkweed and other native wildflowers that provide nectar and you’ve just made our environment a better place. Together we can turn our local communities into environments that are welcoming to the Monarch butterfly and that will give a fighting chance to a creature that can sure use our help.